Julie Chae Gallery presents S C E N I C, an exhibition of recent paintings by Dorota Kolodziejczyk (pronounced KO-LO-JAY-CHIK). Through a measured balance of incident, accident and calculation, Dorota Kolodziejczyk's paintings playfully negotiate the boundaries between abstraction and representation. A broad, personalized approach to landscape space predominates in these paintings and forms the locus for explorations of surface and light, matter and space. Pouring and staining techniques reminiscent of the Washington School of color field painters are employed, together with a subtle painterly touch, to form multiple, shifting horizons in pulsating bands of color. Intricately layered combinations of artificial and naturalistic hues, alternately brash and muted, create unexpected associations beyond the conventional depiction of landscape, forming instead complex spaces simultaneously airy and dense. "It's about what's real and imagined, or the relationship between what you see and feel. A painting is alive for me when the visual experience becomes a felt one as when one feels the sensation of motion standing still or when basic forms of abstraction recall the real world." Rather than describe things literally seen, Dorota Kolodziejczyk uses the natural world as a jumping-off point into invented "psychological" spaces. In the words of curator Herb Tam, the paintings recall something that is subconsciously present and elusively there, the potency and transcendence of dream and memory." S C E N I C is Dorota Kolodziejczyk's first exhibition in Boston. Her solo debut exhibition was at the legendary Joseph Helman Gallery in New York City in 2003. She has also exhibited at Morgan Lehman Gallery, the Elizabeth Foundation, Gavin Brown's Enterprise, ATM Gallery, Bellwether and Art in General. Kolodziejczyk lives and works in New York City. 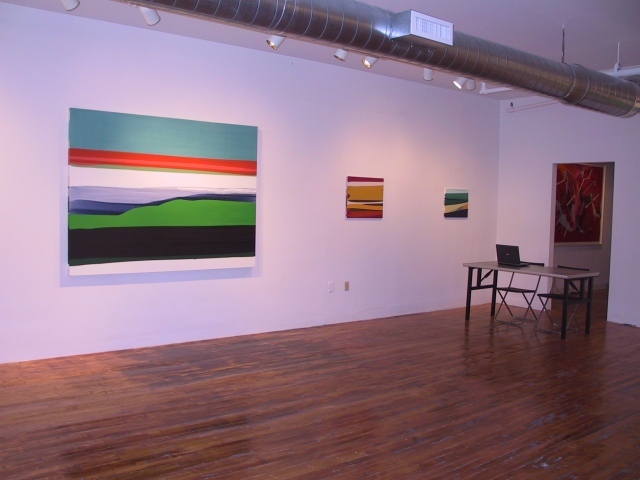 For more information please contact Julie Chae Gallery at 617.357.0001 or gallery@juliechaegallery.com.